A postdoctoral researcher in the University of New Brunswick’s department of mathematics and statistics has been awarded a major grant of over $139,000 to study the fundamental nature of time in the universe. "’What is time?’ is an ancient question that has puzzled human beings since the beginning of civilization, and remains unsolved today," says Dr. Tim Koslowski, a member of the math department's gravity group. Koslowski's research investigates whether the modern understanding of time as "objective change" is a satisfactory answer to the age-old question above. He joined UNB as a postdoctoral researcher in September 2012. 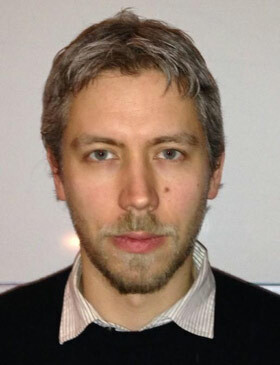 He received his PhD from the Universität Würzburg, Germany in 2008. Koslowski is joined by Dr. Flavio Mercati (Perimeter Institute, Waterloo), and Dr. Julian Barbour (Oxford University), author of The End of Time, where he advances the controversial view that time is merely an illusion. Their grant was awarded by the Foundational Questions Institute (FQXi), which catalyzes, supports, and disseminates research on questions at the foundations of physics and cosmology.